This small article is an effort to explain what happened on that 10th Day of the month of Muharram 1335 year ago, so that even today,a large number of the Muslim community throughout the world spends the first ten days of the first month of the Islamic calendar in mourning. It is simply that Husain, son of Ali and Fatima, grandson of the prophet of Islam Muhammad was killed on that day. He together with his few companions and relations, was surrounded by the so called Muslim armies sent there by the so-called caliph Yazid whom Imam Husain refused to give the oath of allegiance Yazid insisted on this oath of allegiance since he knew that if this grandson of the prophet of Islam accepted him as caliph of Islam, then he would have no trouble in securing his throne. Husain also knew that if he accepted Yazid, this would endorse all the un-Islamic activities which Yazid was openly exhibiting and it would be a complete betrayal not only of the principles of Islam, but also of the principles of justice and liberty. Since the creation, countless human beings have come and gone and only a few have left their footprints on the sands of time. Those who have left a message of love and truth, and have guided mankind to attain high ideals are among those whose names live on the eternity. Their names can never be erased from the pages of history nor will they be forgotten by posterity. Among such people are a few saintly men who have, through their exemplary suffering and sacrifice achieved their highest ideals and objectives. 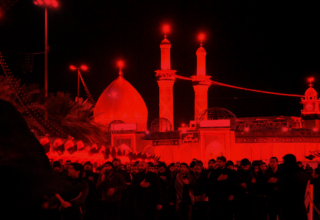 Husain’s sacrifice in Karbala was surety among the most outstanding. He not only sacrificed his home comfort and his life, but also his dearest ones at the altar of the cause which he believed, and which a large part of mankind still believes to be righteous and just. 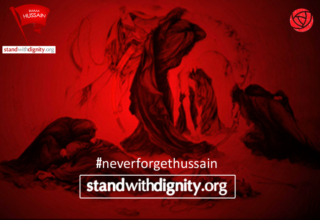 Husain gave his life in the path of truth and the crimson stains of his sacred blood will remain forever fresh in the minds of people who care for justice and liberty and human dignity. Although the actual sacrifice was over in one hot afternoon of the 10th day of Muharram 61 Hijri (680 AD.) yet the few moments of the trial to which Husain was put were the outcome of a life-long preparation. Only one who was raised in the sacred lap of the holy Prophet himself, could have been equal to the task. This noble quality made its contribution to this finest hour of Husain’s life. 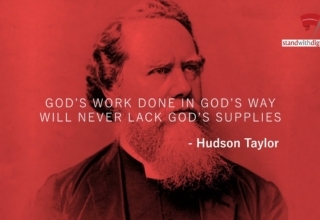 Husain’s life was shaped in the mold of the will of God. His learning, his spirit of charity, his integrity in conduct and character and indeed his entire life, was a bright image of the prophet’s own life. 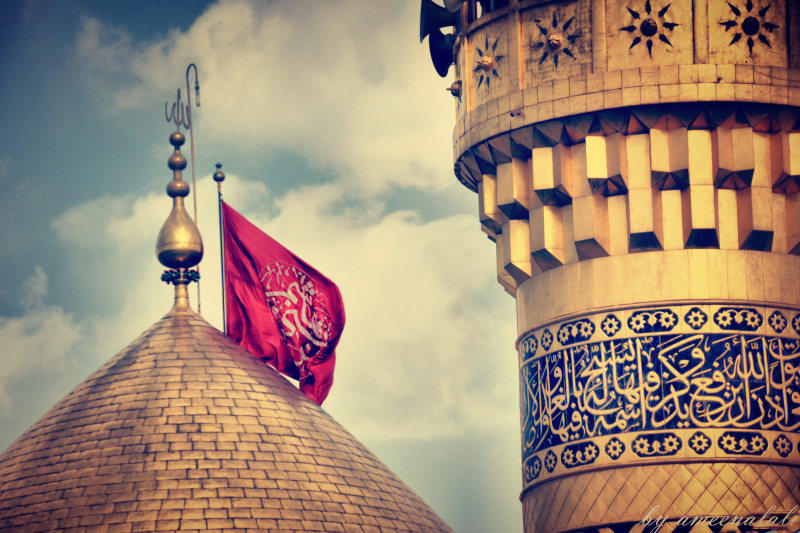 This saintly life could have had no more glorious end than the one he had at Karbala. Much later, in 1861, Abraham Lincoln said in one of his speeches, “to sin in silence when one should protest makes cowards of men.” This brings the above sermon of Husain into modern times with such astonishing similarity that even the most dogmatic agnostic cannot deny Husain’s message which was for the whole world and not only for Muslims. 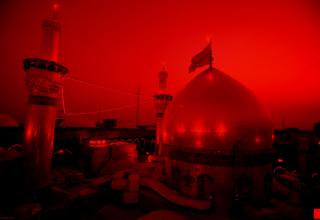 For over thirteen hundred years, the unparalleled sacrifice and martyrdom of Husain held a sacred place in the hearts of Muslims and conquered the minds and sentiments of truth loving people all over the world. To end this series of quotations, would it not be most appropriate if I quote again from one of the sermons of Husain during his journey to Karbala? “You see to what low level the affairs have sunk. Do you not observe that truth is not adhered to and falsehood has no limit? As for me, I look upon death as a means of attaining martyrdom and I consider life amongst transgressors, oppressors and tyrants as nothing but an agony and affliction”. Husain’s fight against tyranny seems to have much deeper significance than a simple narrative can reveal. Firstly, it was a sacrifice for principle. He sacrificed his all, not even sparing the lives of his own children, so that justice might prevail and the truth of Islam might breathe to live. Secondly Husain saw clearly that his resistance against the infinitely larger and better equipped army was a forlorn hope. He had not gone all the way from Medina via Mecca to wage a war but to make a stand for principle. At the beginning of his journey he had many supporters. Many thought that the Imam was going to fight for the throne and were anxious to share the booty. But the Imam knew what awaited them and from time to time he wanted the faint hearted to leave. He even relieved them from all obligations of allegiance and pleaded with them to leave him for he knew he was going towards his death. But amazingly, at the same time when he was asking the faint-hearted to leave, he wrote to his true companions to go with him. He wanted to surround himself with a small group of brave and devoted friends who could face death and martyrdom with him. In so many conflicts of history one may find men who stand firm to a certain limit but then cry out for help or run away when they see death face to face. In Karbala, Husain did not want to see his companions below the standards Husain set for himself. They were selected for one purpose alone and they did not defy the trust Husain had in them. Right until the last man, his orders were not to seek battle or to attack. If the enemy came forth and called for a girth, his men were to go out and meet the challenge. He did not spoil for a fight but did not hesitate to give battle when called upon although against overwhelming odds. This attitude of mind is positive proof that until the last man, and that person was the Imam himself, it was proven that the Holy prophet’s grandson was not out to wage war of conquest but to defend the religion revealed to the Prophet of Islam. 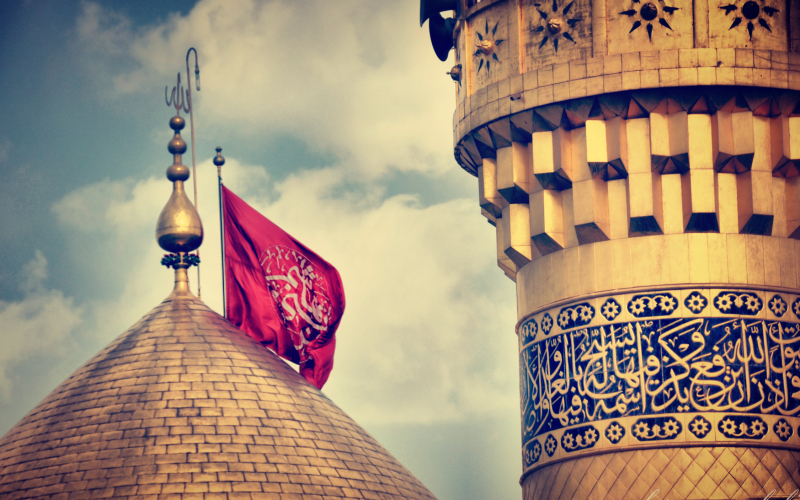 Thirdly, Husain fought the battle of Karbala on the basis of the stern laws of Jihad, as advocated and practiced by the Prophet of Islam himself. One of the basic principles of Jihad was that when one has to fight, it should be without, at any time, permitting personal emotions and prejudices to take possession of one’s mind and heart. When all the male members of his family, apart from the ailing son, were killed and all the followers met the same fate. 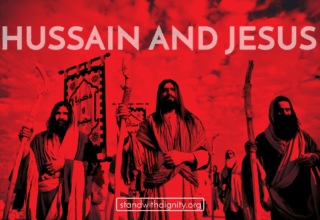 Husain stood alone to give battle and proclaimed, “Even now I shall forgive you if you come to the path of truth and justice. “These words carry great meaning for us all because in spite of all the agony and pain Husain’s suffered, he had expunged all emotions of malice, rancor or revenge from his heart, thus fulfilling the code of Jihad to the last word. Is there any better lesson in history of nobility and self-control? Generally speaking, there are two emotions that exists within the human spirit evil and good. Everlasting conflict rages between the two. In Arabic ammara is the name given to the state of mind in which the soul seeks the fulfillment of its lower desires; and the state of mind in which the soul reproaches rebellious intentions is called lawwama. But the soul which has conquered all desires is called ‘mutma’innah,the peaceful and restful one. This is in perfect harmony with the Divine will, for having triumphed over every kind of passion, desire, sorrow, pain and disappointment this is the highest stage of spiritual achievement.